The museum of cultural heritage of Ukraine is a special Ukraine study centre of the Lyceum where unique reminders of spirit and material culture of our people are gathered. The proof of thousand year passionarity of cultural traditions of ukrainians was the collection of ritual trypol ceramics that was reconstructed by the member of the National union of art masters of Ukraine Lyudmyla Smolyakova, as well as a special exposition of painted Easter eggs collected by students and teachers of our Lyceum during their trips about Ukraine. The pride and value of our museum are ancient authentic reminders of the Ukrainian icon painting that include the sacred image of the Virgin Mary, Saviour of Jesus Christ dating back to the nineteenth century from Poltava region, the icon of “Dormition of Virgin Mary” of the nineteenth century from Cherkasy region which was granted by parents of graduate students. 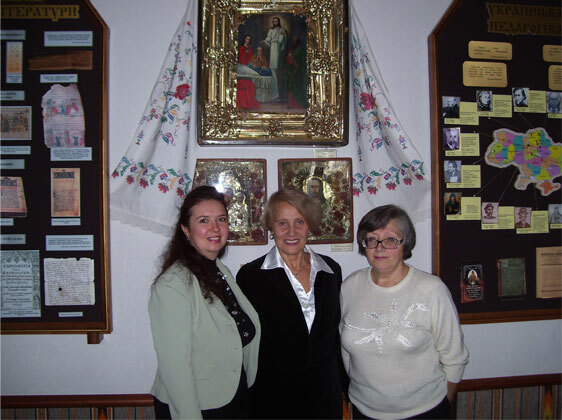 An inimitable finding of the exposition is the ancient harpsichord presented as a keepsake by representatives of the Ukrainian Diaspora. The adornments of the Museum are eternal amulets of Ukrainians, namely, the collection of the Ukrainian embroideries and towels of the ХІХ – ХХ centuries from Kyiv, Sumy and Zakarpattya regions. 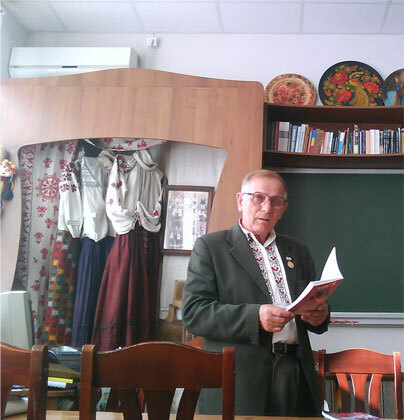 Jiguline and ceramics of Kosiv, Ivano-Frankivsk, Opishna and Vasylkiv regions; carving and inlay of Zakarpatia region; Petrykiv painting wealth; authorship works of modern masters, Union members of the people’s masters of Ukraine: Valentyna Deka, Maryna Kryvonos, Svetlana Rak are striking examples of treasure and beauty of the Ukrainians’ modern arts and crafts. The Museum is a creative and scientific laboratory. 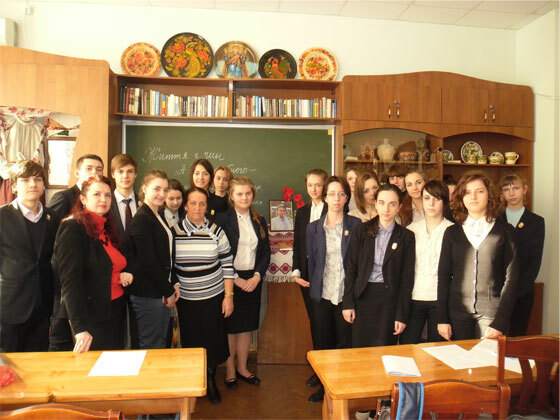 Curious student’s investigations were research and study works such as “Trypol origins of Ukrainian ornamental patterns” by Yaryna Chornoguz, “Phenomenon of Ivan Gonchar” by Veronika Zvarych, “Lypky is the heart of Pechersk, the place where our Lyceum blooms” and “Gurus of the Lyceum” joint investigations of the second-year students of the Lyceum. 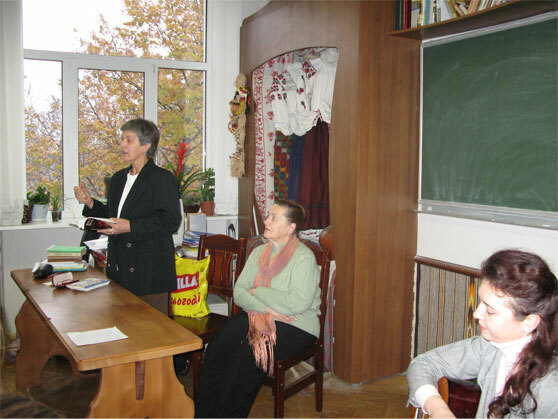 It became a tradition to have meetings and master-classes with modern masters of Ukraine. 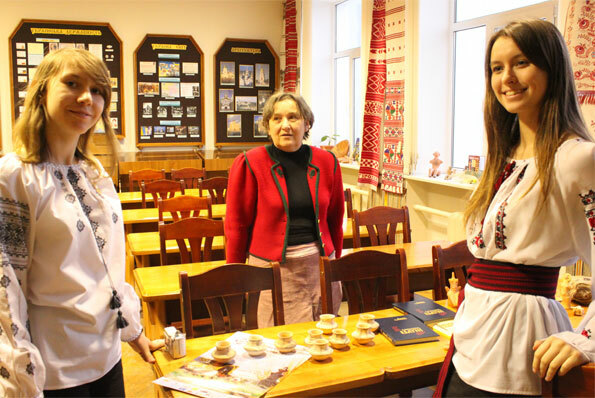 The Museum is our spiritual and cultural hotbed from where you can hear Ukrainian songs, where the spirit of our ancestors exists and tastes and spiritual ideals of modern Ukrainians are cherished.